Recently, the niche Japanese cars that were interesting oddball remnants from a time when their manufacturers were still finding their way in foreign (to them) markets have skyrocketed in price, such that even some projects are no longer affordable to the average enthusiast on a budget (here’s looking at you, Mazda RX series cars). And that’s really a shame, because the Japanese did produce some interesting and sometimes very weird cars. While the Toyota Celica was not particularly weird, it was an attractive little coupe that had some interesting features. Moreover, through attrition they’ve become quite rare, and there’s nothing like not seeing yourself coming and going to give you the warm and fuzzies, and super-extra-double points for being able to pull that off in a Toyota. 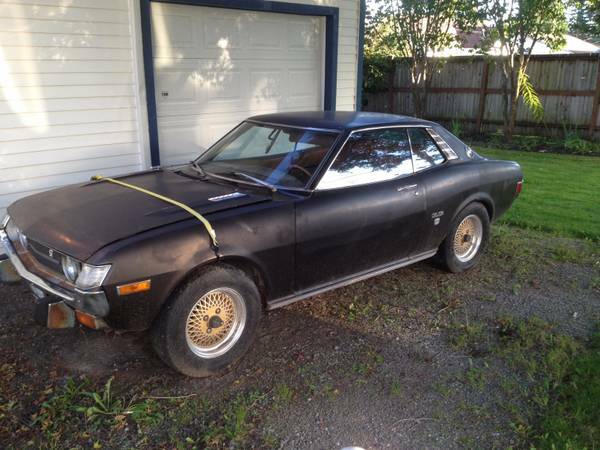 You can find this 1974 Toyota Celica ST for sale for $2500 in Everett, WA (and listed under Vancouver, BC for some reason). There’s something creepy about old neglected campers. Perhaps it’s the commonality they have with an abandoned home, or the fact that popular culture associates them with “I’ve got some candy in here for you”, but on the other hand, their styling and chassis are representative of the time in which they were built. In the 1950s and 1960s, when road trips were the main way for families to travel, and the mobile home industry was still relatively young, manufacturers tried out various innovative ways of providing a home on wheels. Some of those were the formats you’d still recognize today, and others were, how do you say, different. 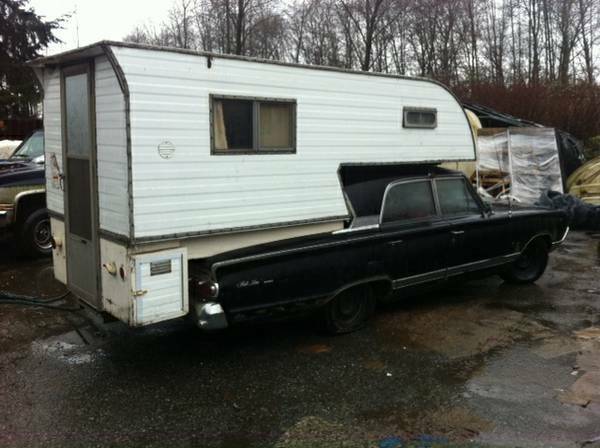 One of those was dropping a piggyback camper on a conventional sedan, like this 1964 Mercury Park Lane camper, for sale for $1800 in Surrey, BC. In another edition of RustyButTrusty on the Street, we reveal more of the fruits of the streets of San Francisco, courtesy of the ranks of La Resistance Contre-Prius (wow, that sounds like a real thing). 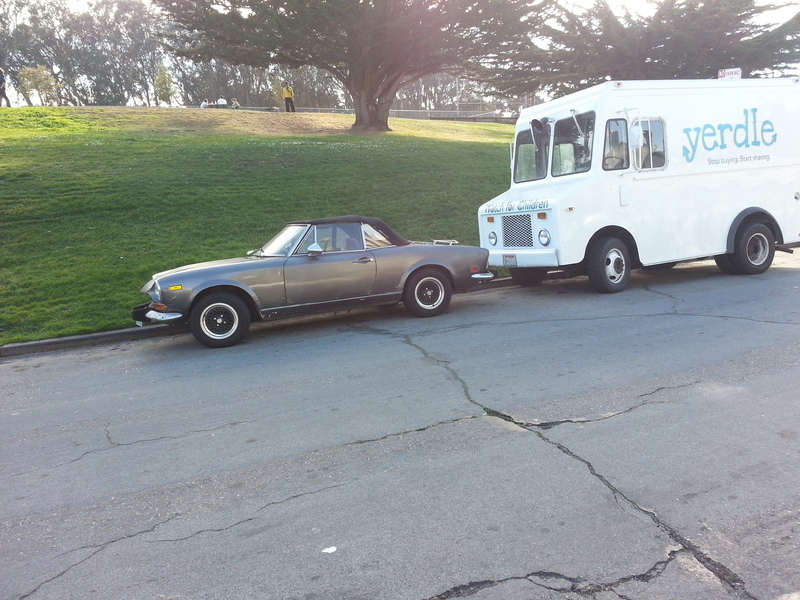 Leading the charge is this early-ish (pre-impact bumper) 1974 Fiat Spider. For the anoraks out there, the 1974 assumption is based on the rubber Sabrinas visible on the front bumper, which, while not as bad as those found on period Triumphs, would be best removed and tossed in the nearest dustbin.